— “Elastic travel” refers to mechanical parts that move with the resistance of a spring, with ski bindings more travel distance is often better. — “Accidental release” refers to coming out of a ski binding while on the downhill, unnecessary and unplanned. Often dangerous. — “Tech Binding” is defined above. Dynafit Beast 14. Click images to enlarge. — Dynafit Beast 14 uses rear pins, but with a mechanically mysterious way of adding more vertical elastic travel. Releases to the side at the heel, with a rotating toe that likely helps prevent accidental release. All versions of this binding are discontinued, but many are still available. A version with RV value 16 was made for a while, it’s quite heavy at 966 grams per binding, probably due to a complex and bulky toe unit, as compared to the model 14. Tecton in touring mode, heel lift deployed. — Fritschi Tecton is new this season. This guy could be the technological equivalent of a NASA Mars Rover, it’s just that cool. Releases to the side at the toe — with radical elastic travel. Plenty of vertical travel at the heel, as well as a tricky hidden system that uses the boot’s rear tech fitting to resist the boot slipping sideways out of the rear binding cup. Uses same toe as Fritschi Vipec “Black.” This will be the Tecton first-season in the wild, unless you’re keen on early adoption it can often be wise to avoid any tech binding in its first consumer season, due to the voluminous history of tech binding defects. Marker Kingpin boasts more heel upward travel, toe unit is virtually the same as most other tech bindings. This is where we mention that some of these bindings have what’s known as “TUV Certification” to international standards for ski touring bindings. While such standards are clearly well intentioned (and we make a point of covering them here at WildSnow), in our opinion they’re overly restrictive, incomplete in terms of what they test for, and have odd requirements that can stifle binding design. Our advice at this juncture (2017) is to either entirely ignore or at least mitigate any influence “TUV Certification” has on your shopping decisions. Instead, follow the basics: Don’t buy first-season products; get advice from friends and reputable ski shops; work backwards from your skiing goals to the proper gear; and so on. More about TUV here. Also please see our glossary. — Trab TR2 is ingeniously simple. Toe wings release to the sides, boot heel is held down by two spring loaded bars that rest on top of the sole “shelf.” Downside is you have to hold the heel open to enter downhill mode. You can get somewhat used to this, but the procedure can remain awkward in tight spots or super deep powder. Most importantly, TR2 requires your boot to have special toe and heel fittings. Latest version is the S4 fitting, sold with some La Sportiva boots, works with both standard tech bindings and TR2. So, the million snowflake question: Why would you choose a hybrid? Indeed, a confusing world out there and the hybrids in our midst make it worse. Self-evaluate your goals. You want a binding that as closely as possible mixes an alpine ski binding and tech touring binding? Hybrid could be a good choice. Or, have you spent 300 hours studying how ski bindings work, and you’ve determined you’d prefer side release at the toe, instead of heel? Perhaps rock a hybrid that does so. Want a binding that’s designed with bias to aggressive downhill skiing? Perhaps a hybrid, though the intense competition to make these things compete in the weight wars can result in bindings less durable than you’d expect. Then, the two million snowflake question: Why would you NOT choose a hybrid? In weight, some of the heavier classic tech bindings are somewhat equivalent to the hybrids. Difficult choice in that case, perhaps price? Or preferences in how heel lifters and mode (downhill uphill) changes are executed? But drop down to the minimalist tech bindings, likely without brakes, and you get a clear win in terms of lightening your hoof load. Thus, if you’re going human powered and not auditioning for ski movies, a setup with a proven classic can be pure joy. Also consider that the complex hybrids can be more challenging to manipulate (clicking in, switching modes, etc.) and may also be sensitive to icing issues. There you go. After all that, if the alien hybrid bindings are still strange to you, leave a question-comment. You’ll get a response. Below, more photos of the hybrids. Kingpin toe detail, arrow points to “pin” system used by all tech bindings. Kingpin heel has vertical travel similar to alpine binding, but it is SIGNIFICANTLY DIFFERENT as it releases to the side at the heel. Marker Kingpin hybrid tech binding in uphill mode, with heel lift. View of how the Trab TR2 ski touring binding toe opens to the side for release. Trab TR2 has super firm heel hold-down due to wider width of jaws as well as no need for binding rotation left-right. Fritschi Vipec Black to left, has better left-right travel at toe, significant. Fritschi PR image, Tecton, our notes. Dynafit Beast 14 appears to have simplified the somewhat complex toe unit of the first version. Beast 14 toe rotates 5mm, similar in function to Beast 16 as well as Radical 2.0. A clever part of the lock lever keeps the binding from rotating while it’s open, making it easier to step into. Hybrid pin tech ski touring bindings tend to have heels that appear as alpine bindings. edit: the TR2 weight diff vs radical should be negative (-1) 59g. That was part of why I bought them. Please feel free to delete this comment after you decide to make that edit or not. So, how has the TR2 worked out? What boots are you using? Seems to me that it would be more helpful to categorize bindings by what type of skiing they are good for than by the mere presence or absence of an alpine heel. I don’t have experience with any of these bindings, but I suspect that lateral release at the toe (Vipec) is as important as an alpine type heel for “freeride” skiing. Likewise for strong tech toe springs and a heel piece with some fore and aft travel. But categorizing bindings by their performance would require actual performance information, which is a lot harder to come by than just checking if the heel has some mechanism for increased vertical elastic travel. Yeah, I know the Beast heel piece uses pins, so it’s not technically “alpine.” It also has a turntable toe. Would a turntable or stronger toe springs or lateral toe release make a better freeride binding? In my opinion, on snow testing is the only way to really answer this question. “Voluminous history of tech binding defects.” I think that could be said about ALL first generation touring bindings, not just tech. Tecton v Atomic Backland weight difference on the chart looks off? I’ll double check. Meanwhile, added + and – symbols to clarify. I build those tables with my old HTML editor then paste them in, saves/edits got confused. Apologies, looks much better now. Side release at toe would of course be another way to categorize. Only exception to that in this overview is the Beast, and it’s discontinued. I might remove it from the chart later in the winter when residual stock goes to near zero. Cool chart, Lou. Categorizing by side-release at the toe would be more insightful regarding forces on your leg, but it leaves only two bindings, both with boot-compatibility issues. The other two, despite “alpine-like” heels, don’t have much in common with alpine bindings release-wise. In our testing there was a pretty clear winner in terms of repeatable “alpine-like” release with compatible boots. Of course, even those could get gummed up by damaged fittings. To be clear, I’m interested in epidemiological type data about binding performance, or at least the sort of extensive anecdotal evidence industry folks might have (but which they may be reluctant to share because, well, they’re in the industry). I LOVE them, I use the Sideral 2.0 (that i bought from jbo at skimo.co, cannot say enough good things about that experience) on a 95mm wide Iclantic ski. They release exactly as advertised and ski exactly like an alpine binding save for perhaps marginally less shock absorption. My goal was to get the least irresponsible tech binding (lateral at toe, heel clamped down) for skiing on the piste and they have proven to be a dream in this regard. I had intended to move up the Spectre 2.0 when they were released but have found the Sideral plenty powerful for my speed limit. I have Trab race bindings too and cannot say enough good things about these Italians! Which was the clear winner? See, there is virtually NO meaningful data available. Just personal anecdotes… for example, I spiral fractured my leg on the early Ramer bindings, probably due to multiple factors, but not the least of which the Ramer blocks lateral release exactly the way of any tech binding does that does not release to the side at the toe. There is a leverage point where forces easily exceed the strength of the leg bone. This can be simulated during carpet testing. I think the main thing here is to look at your style of ski touring, match that up with friends and acquaintances, observe what gear those guys are using, and if it seems to be working then good. See – That would be amazing data to have on these bindings. It exists in the alpine world but it took many years of collecting data at a ski resort. Dabe – It sounds like you already know! Lou – Thank you for reminding folks that “alpine-like” doesn’t imply better or safer in all respects. Skiers are still surprised to learn that most alpine bindings aren’t designed to prevent knee injury. I’m sure someone will do an epidemiology on ski touring injuries, in fact, I’ll bet someone at some place like the U of Innsbruck is already doing it. It actually would be that tough, just time consuming, interviewing thousands of ski tourers. The results could cause some radical changes in things like ISO standards, and product liability. The “take a survey of what equipment your buddies are using” method of binding selection leaves a lot to be desired. For example, I’m the major gear weenie/guinea pig in my social circle. Most of my buddies are on teles, Verticals or Ions (nothing wrong with that). And the super hard cores I see out there are often locking out light tech bindings. So I’m not getting a lot of useful information about the latest and greatest from my buds. I appreciate and rely on the information provided here on Wildsnow (the only other source I know of that is even remotely comparable is the Skialper binding review). I just think there is room for improvement. Truth be told, I sometimes wonder if there would be more good binding performance information if it didn’t potentially interfere with the manufacturer’s marketing messages. I’m not suggesting that Lou is just towing the manufacturer’s marketing line. One of the many things I admire about Wildsnow is that Lou seems to call them as he sees them. Interesting. I got rid of my vertical STs, Radical STs, and down to my last 2 pairs of Speed Radicals (which I have come to loath), on my Voile Vector bc and Cho Oyus (I have a pair of ultrlghts with brake for them already). My wife is happy with her Verticals (I was too, but I sold the skis). Now I have Speed Ultralights (Movement Vertx X, bc), Plum guides (Movement Shifts, bc), Yaks (Voile V8, deepest snows), and Kingpins (Fischer Ranger 98ti, sidecountry). From this post, my experience, and the video/review provided from ProGuide in North Bend, Wa, any future choice will boil down to the Ultralights or Techtons. I know people with more exotic super light weight bindings that have had some major problems, but I won’t comment on them because I haven’t used them. I certainly mean no disrespect to you, Lou, or anyone else. My fixation on binding data (aside from general curiosity) probably can be attributed to my impression that the most popular bindings don’t all look like the best designs to me, but do seem to reflect the marketing and distribution clout of their respective manufacturers. But again, I haven’t ridden most of them. Andy, you loathe Speed Radicals? Care to explain why? I’ve had good experience with mine. Mark W, I live in western WA, a maritime climate. At near-freezing temps snow buildup turning into ice under the heel is a problem with all bindings, but especially with Speed Radicals. On near level approaches and traverses at times I can not take 3 strides without having to clear the snow. Jabbing at the snow just makes things work because it roughens the heel piece, the base plate, and the topsheet. I’ve used everything from rub-on flouride ski wax, melt on glide wax, Armorall, Easy Glide, etc. etc. So I have come up with 3 solutions: (1) put a stomp pad forward of the base/adjustment plate such that the boot heel can not compress the snow into ice, keeping the heel from coming all the way down to the plate; works well on my Voile Vector BCs that I used on XC-BC ski patrol; (2) At the end of this season on my Cho Oyus, I filled in the adjustment track and covered the baseplate screw holes with a Permatek sealant, making the sealant layer as smooth and slick as possible. I put a silicone or teflon lube on that before going skiing and it seem to work well this summer; but the worst conditions are in the fall and spring; I’ll see what happens this fall. (3) replace the binding–my Plum guides with the OEM stomp pad on my Movement Shifts collect less snow than my other bindings. I recently added a pair of Speed Superlite 2.0 Whites (on a B&D plate) on Movement Vertex-Xs and they worked absolutely fine this spring–only had to clear snow 2X. I’ll try them this fall, of course. If the Speed Radicals continue to ice up and the Ultralights don’t, I’ll replace the Radicals on my Cho Oyus with ultralights. Thank you for the follow-up article. As one of those interested in the alpine vs. tech heel trade-offs this offers some more insight. I have been using the Dynafit FT-12 almost exclusively (Plum Guide as well) since it’s introduction, until the Fall of 2014 when I was able obtain numerous Kingpin 13s. (Marker was my first sponsor in a different sport they were trying to get into). I gave Dav 2 pair in December of ’14. We both decided it was the best binding for crushing it. Never have had a bad releases since, and it increased the torsional rigidity of touring skis making it possible to push them harder then with a conventional touring binding. I remarked, after skiing boots unbuckled, that I had more power to drive the skis then with normal touring bindings, and I can ski a much lighter boot. Dav commented, imagine how much harder he could drive a ski with stiffer boots. He is skiing the KP13 w/ orange Freedom RSs, and I am skiing KP13s with a 2 buckle boot. Bottom line is I have more drive with a 2 buckle boot and KP13 , then a 4 buckle boot with FT-12s on the same ski. Plus a lighter overall setup. KP13s are my daily driver except for my alpine race skis. How is the 6 pack better than a 4 pack? It’s not about the toe piece. The Alpine style heel in conjunction with the pin style toe makes the ski much more torsionally rigid. I have been told by binding designers, the pin style toe is already stiffer then an Alpine toe. I don’t have a problem with the torsional rigidity of my bindings as long as my skis and boots aren’t too soft. I’m more interested in release/retention for bindings. But I’m old. John – I suspect what you’re feeling is related to the heel riding on a spring which stiffens the ski flex. This is true of any binding without a heel gap (including Radical 2, G3 ION, etc). Without the toe and heel connected in a rigid platform, the binding can’t do much torsional stiffening. The boot is still the primary connection, which is why Fischer added fiber stiffeners to the Travers Carbon soles. It seems you have to make a choice as to whether you want to reduce the likelihood of torsional loading injuries in the lower leg (as provided by those bindings that release laterally at the toe) or reduce likelihood of knee ligament injury (as provided by bindings that release laterally at the heel). To make a logical choice as to what type of binding to ski on, one would need to know the likelihood of each injury type. Recent statistical injury data seems to be biased by the fact that most alpine bindings release laterally at the toe, so tibia spiral fractures etc appear low. Is there any older injury data from when there were rear lateral release alpine bindings in use that might shed some light on this?. Anyone have links to such data or an educated guess. As and aspiring ski tourist stuck in the east coast, I have a one ski quiver for my travel. This setup is supposed to cover me for 2 – 3 trips a year to Colorado, the Alps, and hopefully a bonus BC / Wasatch, etc. I am currently on a set of DPS Wailer 99 Pure3 (not touring) paired to Marker Tour F12 EPS bindings. The original decision to go with the frame bindings was made easier by the fact that I was on Cochise boots with alpine soles, but as I am at the point where I am almost exclusively telemark (NTN, another discussion) on piste, I have now moved onto Tecnica Zero G boots which have tech soles. For skis that will really split time 60 / 40 on the resort, bowls, side country, itinerary slopes, and actual skin up ski down ski touring would one be better served by a Vipec or Tecton binding? I am convinced that the tech bindings have gotten to the point where the frame binding just does not make sense. Also, I am about 200lbs, and have skied my entire life but am not overly aggressive. These days most of my time is spent leaning to telemark while I chase a 5 and 6 year old down the slopes. Lou, would someone like me really notice the difference in the heal when skiing. Most aggressive stuff I do is Highlands Bowl and the like. I think what I am really supposed to do is be patient and hang with the F12’s for another season until people have put time on the Tecton. AAG, if you do a careful test you can feel a difference between classic rotating tech heel, and heels that are more stable in a downhill turn. But does that cause you to ski better? Doubtful. The operative point is that the rotating heel is responding to normal skiing forces in the same way it responds to the need for a safety release. This can lead to a conflict, in that the binding set to be safe can perhaps accidentally release to the side at the heel. This is why virtually all alpine binding makers gave up many years ago on bindings that released to the side at the heel. It was just too hard to decouple the need for retention from that of release. So, the main theory here is that it’s possible bindings such as Tecton and TR2 might, just might, be safer in terms of being able to use “chart” release value settings and not have much chance of accidental release. On top of that, it’s proven that alpine bindings that release at the toe can be better at preventing spiral leg fractures, though they don’t appear very good at protecting knees. What a mess? Happy shopping (smile). Lou, thank you, this last response is incredibly helpful, and in fact probably the most understandable / useful comparison on the subject I have read. While Alpine bindings may not be very good at protecting knees, there must be a reason why manufacturers decided uniformly to go with toe release at risk of knee injury vs. heel release at risk of spiral fracture. I think it is another season on frame bindings until the Tecton has been proven, by which time something new and tempting will be on the market. AAG, the answer to your question “there must be some reason” is in my previous response. According to binding engineers I’ve spoken with, there has never been an alpine binding that releases fully to the side at the heel (or over some kind of centered pivot under the foot) and is adequately resistant to accidental release when skied at “chart” release value settings. It’s been tried over the years. Somehow, the tech system does better with this, probably because the toe plays a part in release, but indeed some skiers can’t ski a tech binding at normal chart settings, but have to bump up the binding spring settings so they can stay in the binding. Knee binding, for example, seeks to break that paradigm by having a heel with directional release, to protect knees, and alpine toe to protect bones. Lou, thank you. I saw that in the previous comment and was referring to the commentary about the conflict of releasing while fighting norrmal forces as something that really illustrated it for me. I guess my comment about ‘some reason’ was more that they must have felt the evidence of release at toe preventing injury was probably more supportive than the evidence of side release at the heel when weighed with concerns over risk of pre-release. Regarding the Kneebinding, most reviews I have read have highlighted the lack of evidence that the binding makes a significant difference. While I have not revisited your earlier review, I believe it also had some commentary to this. I thought the Look Pivot bindings had some level of pivot at the heel as well, but it may be for a different purpose. I don’ know. Anyway, thank you for the prompt and thoughtful responses to my multiple comments. It is really appreciated, and beyond expectation. Heck, when I paid for feedback on these questions from Blister I could hardly get a response. So, a second thank you. I hate to take any more of your time. pivots are for increase in retention (elasticity) and do not enhance safety release. AAG, the thing to remember in terms of ski binding engineering is the FIRST job of the binding is to attach you to the ski, otherwise known as “retention.” When you think about it, that’s pure logic, as otherwise what would be the point? Thus, when talking about “safety” the binding’s retention is what we should be considering first. Then we should consider how it releases when your leg receives possibly injurious force. The challenge in binding engineering is to combine both things in a functional way. In any case, there have indeed been a few alpine bindings that advertised some sort of side release at heel. As for “evidence” of release at toe preventing injury more effectively than side release at heel. Firstly remember that classic tech bindings release at both toe and heel, thus confusing, and remember that before we can talk about “preventing injury” we need to be specific about what injury. For example, a binding that releases easily but doesn’t have good retention could cause head injuries, or a binding that releases to the side at heel might more effectively prevent knee soft tissue injury. It’s essentially a big can of worms, and a lot of shopping decisions are based on emotion and probably influenced by branding, advertising, past experience with bindings, reading WildSnow.com (smile) etc. What would I advise? Firstly, ski a binding you can set at somewhat “normal” chart retention settings and not ski out of. For many of us, that might be a classic tech binding, but perhaps not. The only way to know this for certain is by actually going out and using the binding. Secondly, I hate saying it but based on nearly every brand of binding, buying first-year retail product can be unwise (depending on how “new” the binding is). 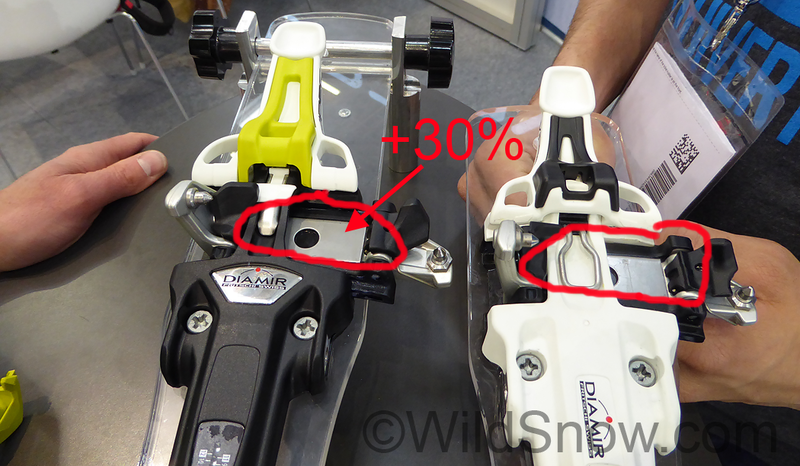 Something is flawed in the ski touring binding industry in terms of quality control and beta testing. Until I see a trend in a better direction with that, I have to repeat that advice. Depressing and annoying, been going on for years and years. Would a hybrid binding of kingpin 10 heelpiece and Tecton toepiece work ? If not, what would be required for it to work? 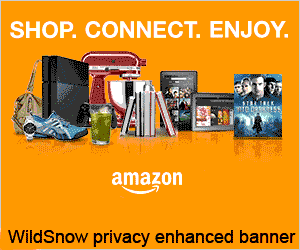 Also, you clearly need to spend more time on WildSnow.com, or at least spend some time with our site search! Thanks Lou. I had read stuff on this more than a year ago perhaps, but my search couldn’t find the bit I wanted. Sorry if this has already been addressed somewhere else but wondering if others have experienced an issue with the Kingpin toe picking up ice underneath the springs and rendering them inoperable in ski mode? We had four pairs of these mounted on four different skis on a backcountry trip in Switzerland last month and all experienced icing that prevented the toe piece from engaging in ski mode when we were transitioning from uphill to down. Occurred at some really inopportune moments and required a great deal of work to free up. Do you know if Marker is aware of this? I doubt it, but anything that can be done? Hi Jeff, ice under the toe wings of tech bindings is a common issue across brands, I’ve seen people at huts actually have to leave their boot in the binding and walk into the hut in their socks. Solutions are numerous, mainly involving having a non damaging tool to clean out the ice, and perhaps dousing with silicon before each trip. Some bindings are more prone than others. For example the G3 ION is built in such as way as the toe provides quite a bit of space underneath, specifically for clearing ice and snow. Another example, the early Fritschi Vipecs had some icing problems, Fritschi fixed that by changing the plastic molding under the toe. But any binding, including those, can still ice in certain situations, as can alpine bindings. In any case, no piece of gear is perfect, the world of wild snow is simply too complex for gear to always work flawlessly. I’m familiar with icing under the toe arms causing problems for retention in ski mode, but not being able to get out of the bindings is a new one on me. Lou, are you saying the space under the Ions allows for snow clearance or snow buildup? Lou, just reread this articles and the discussion from last season. Again, a great resource and I really appreciate the time and effort. It will be interesting to see how the Solomon Shift slots into the equation. I suspect that the binding is such a beast that the weight will overshadow the benefit of a true alpine heal and toe for you and most of your readers. On the other hand, it probably becomes the ideal solution for the resort based aspirational backcountry skier solving for a one ski quiver. I must admit to being a bit surprised at its price point being meaningfully below that of the Tecton.